her firm offers a range of services including site planning, architectural design, construction drawings and interior design. Her projects share a timeless sensibility and a respect for context whether it’s a contemporary farmhouse in the Hudson Valley or a classic prewar apartment in Manhattan. 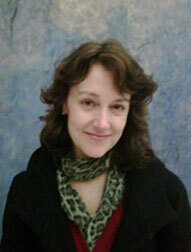 Amelie Rives Rennolds is Leed certified, and believes that the best design solutions should respect the earth. Ms Rennolds received a Bachelor of Arts from Wesleyan University and a Master of Architecture from Harvard University Graduate School of Design. Before starting her own practice, Ms Rennolds was project architect at Edward Larrabee Barnes Associates and Henry Myerberg Architects where she worked on a number of award winning institutional and cultural projects. Amelie Rives Rennolds work has been featured in Architectural Record, At Home in the Hudson Valley, Creating the Artful Home and Better Homes and Gardens. Ms Rennolds is member of the AIA, the U.S. Green Building Council (USGBC), and provides LEED-Accredited Professional design services. She serves on the town of Pawling Planning Board, the Oblong Land Conservancy Board and is co-chair of the Pawling Community Foundation.